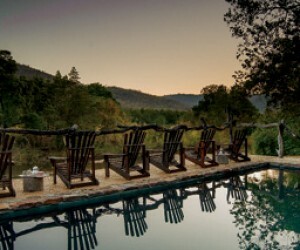 Summerfields Rose Retreat and Spa is a family-owned, five-star Retreat comprising 12 luxury tented suites and one premier timber suite, a spa on the Sabie river and two restaurants serving breakfast, lunch and dinner respectively. Summerfields is the ultimate destination for relaxation and tranquillity on a pristine working farm beside the Sabie River. Join us, and experience barefoot luxury at its finest. Andre and Ilse, owners of Summerfields Rose Retreat and Spa had a vision: to create an environment where active farming and warm hospitality can co-exist in a wonderfully unique way. Since 2002 they have been working towards this vision, creating a beautiful lodge, the Tented Suites, and the Spa. Today Summerfields is an enchanting location and is popular with guests passing through on their way to the Kruger Park or needing a romantic weekend. Perhaps it’s the fusion of African sensibilities with the roses from which Summerfields Rose Retreat & Spa derives its intriguing charm. Or is it the bygone romance underscored by percale linen in a tented lodge suite? Could it be the luxurious experience of receiving a treatment in a spa pavilion set beside the river in which hippos bathe at dusk? And, of course, our roses! Along with gourmet dining, all of this defines Summerfields Rose Retreat as a most enchanting place to re-ignite your senses. We have ensured that the farm and plantations are an integral part of Summerfields. We have enlarged our organic garden over time and we serve the freshest, naturally grown vegetables in the Summerfields Kitchen and River Café. We have created several packages, including day visits and longer stays and our reservation team will gladly assist with flight bookings and transfers to and from Kruger Mpumalanga International Airport. Within minutes of arrival at Summerfields you will be immersed into rejuvenation and your own experience of our barefoot luxury. Our healthy pursuits include walks, a five kilometre jogging track, swimming and a popular cycling area, all within easy reach of the truly wonderful Kruger National Park and other popular venues namely Pilgrims Rest, God’s Window, Sabie and many more. 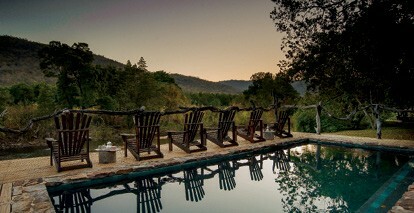 Also within close proximity of Summerfields are all the adventure activities one might want to consider – from game drives to tree canopy aerial walkways – though we hope you will be excused for simply wanting to spend all your time at Summerfields Rose Retreat, the only place to stop and smell the roses.